Whether giving Mother Nature a nudge, or taking your enhanced hair color to the next level, highlights can add interest and dimension to your style! From selecting subtle streaks or going for bold splashes, highlights allow you to personalize your color and add a touch of flair to your hair. Now first off I want to stress that when you start to venture into the highlighting (or low lighting) game, the skill levels needed increase dramatically! 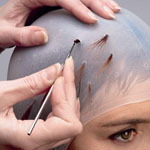 Since this is a technique of taking strategically selected pieces of hair that coincide with the chosen hair style, it is best to not do this as your first attempt at cosmetic enhancement. Although it can be done at home, skilled hands are essential. Without proper technique, bad color can happen to good people! That being said, highlights can perform a variety of benefits. Not only do they add depth, movement, and eye-catching color complements, in some cases they can actually extend the time between retouches. The highlights will have a tendency to diminish the visible line between your natural hair growing in and the chosen color – unless of course you have opted for a shade at the opposite end of the color spectrum. The highlights visually ‘break up’ the line of demarcation, and many people feel that they get a little while longer between tune-ups as the noticability of the regrowth is lessened and looks a bit more natural. For those with baby-fine or silky hair, highlights (whether alone or partnered with another color service) will add a bit more ‘oomph’ to the hair fabric. Many feel that the extra volume they are able to achieve is well worth the highlights regardless of the cosmetic noticability. Also by adding two or more colors in your highlight palette, you can add the illusion of having more hair as the density issue is overshadowed by the interest created by the infusion of new colors. Among the most beautiful highlights are the strands you receive from the skilled hands of a professional. 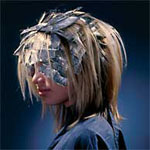 Often foils are used to isolate the chosen strands that allow them to process without the color bleeding. This skill is one that requires training, dexterity, and an artist’s eye. However, it goes without saying that this will cost you, and the bills can add up if you go to a premium salon. Often foil highlights can be one of the priciest of salon services (for a full head.) A quick insider tip – upon consultation, you are often able be able to get a ‘sample’ by only doing a few sunny strands along your part line or to frame your face. You can always turn up the brightness too, so when sampling, baby-steps are recommended. Panels, splashes, and veils (there are many names) are larger sections of color than can be few centimeters or more in width. They are for a more dramatic effect and are often used to make a dramatic color statement. These are harder to retouch, so I also recommend consulting a professional on this method. Since this technique also looks good by using a few different colors that complement one another, this may also cost you more than single process applications. Balayage (derived from the French word meaning ‘to sweep’) is a beautiful, natural method of hand-painting randomly selected strands of hair to mimic the sun shining on the hair. The impressionist style of painting is harmoniously placed to bring out the most of the style. The color is painted in soft, sweeping strokes, and the regrowth is almost undetectable as the color seems to just ‘appear’. Since this often uses a very strong chemical product it is my recommendation you do not try this at home! Even professionals must have a skilled touch and keen eye (and a paid insurance policy) to pull this off! Although costly at times in a salon (do your research), it is my professional opinion to keep highlights out of your kitchen (without practice – a lot of practice) as it can cost you a car payment to get fixed if done incorrectly. Choose what you would like to see in your style and then match the method accordingly. Browse through many hair color photos and see what catches your eye. It is best to fit the technique to the desired end result. Highlighting and low lighting (same technique, just adding darker pieces) are a great way to tweak and personalize your hair color statement. Whether alone or in tandem with another service – highlights will bring out the best in your hair color! Its just as the words tell: Hi is lighter, Lo is darker! 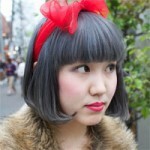 I wish I found this blog before I had my hair colored! I got my hair dyed the other day, I asked my hair dresser for a brown color , yet it turned reddish! Is there any way I could remove the red tones? A lot of brown hair dyes do have red tones in them, I’m sorry you didn’t get the result you were looking for! There are a couple of ways to remove tones such as dying your hair. You could go back to the hair dresser to ask them to use a toning treatment that will help to pull out the red. Or you could dye your hair with a darker neutral brown (look for the product that is marked #N on the box). Studies show liver damage from hair dye. Caps give safe youthful enhancement and prevent allergy. Thanks for this information Gail! how to dye my hair like demi lovato”s hair? in contrasting melded tones, using the color-coded cap. The hair coloring and the highlighting services really increased in these recent years. The hair coloring services varies according to the view of customers and stylist. There are different colors and color combinations using in this. Thanks for sharing these information to us.